If you get pumped up just thinking about ghosts, demons, monsters and vampires then these TV shows like Supernatural are the next episodes to add to your list! Supernatural has a fandom that is super fierce, and not just because the guys are hot. This show has twists and turns that take a set of brothers through all kinds of twists and turns as they hunt down all of the supernatural beings on earth. After you get all caught up on Supernatural, you can check out these other top shows you are going to want to watch! Supernatural is a fantasy horror television series that premiered on The CW on September 13, 2005. Season 12 will premiere on October 13, 2016. The series chronicles the lives of two brothers Sam and Dean Winchester, who fight the evils of supernatural beings including ghosts, gods, monsters and demons. Supernatural stars Jared Padalecki and Jensen Ackles. Here are some TV shows like Supernatural. Don't let the bubble get you. Click the link in our bio to watch the last 4 episodes of #Supernatural now! The X-Files is a television series that incorporates drama, science fiction, horror, mystery and supernatural fiction all into one show. It aired on Fox for ten seasons, from September 10, 1993, to May 19, 2002. This series was a top show to watch for so long, that they revived it for season 10 on Fox, which aired from January 24, 2016, to February 22, 2016. The series focuses on Fox Mulder and Dana Scully, a pair of FBI agents who investigate cases that deal with the paranormal. The X-Files stars David Duchovny and Gillian Anderson. American Horror Story is a supernatural, drama, thriller anthology that premiered on FX on October 5, 2011. Season 6 of the series is set to premiere on September 14, 2016. It is an anthology, meaning that there is a new cast and new locations with each and every season. For instance, season 1 centers on a family that recently moved into a house that is haunted, while season 5 focuses on staff and guests of a bizarre, haunted hotel. Since each season sees new characters, there have been quite a few cast members including Connie Britton from season 1, Joseph Fiennes from season 2, Emma Roberts from season 3, Finn Wittrock from season 4 and Lady Gaga from season 6. Hemlock Grove is a horror, thriller television series that aired as a Netflix Original for three seasons, from April 19, 2013, to October 23, 2015. It is based on the 2012 book of the same name, by Brian McGreevy. The series is set in the Pennsylvania town of Hemlock Grove, a strange town where everyone seems to have a deep, dark secret. This show has been on my top shows to watch, but only when I have someone to watch it with because it creeps me out! Hemlock Grove stars Famke Janssen, Bill Skarsgard and Landon Liboiron. The Secret Circle is a supernatural, teen, horror drama television series that aired on The CW for 1 season, from September 15, 2011, to May 10, 2012. It is based on the novel series by L. J. Smith, of the same name. The series focuses on Cassie Blake, who moves to Chance Harbor, Washington to live with her grandmother, after the death of her mother. She soon discovers that she is actually a witch and becomes a part of a coven of other witches. The Secret Circle stars Britt Robertson, Thomas Dekker, Phoebe Tonkin, Shelley Hennig, Jessica Parker Kennedy and Louis Hunter. Dark Angel is a science fiction, action, television drama series that aired on Fox for two seasons, from October 3, 2000, to May 3, 2002. The series follows the life of Max Guevara, a girl who was genetically modified in a lab project, later escaped and now is employed as a bike messenger. Dark Angel stars Jessica Alba. 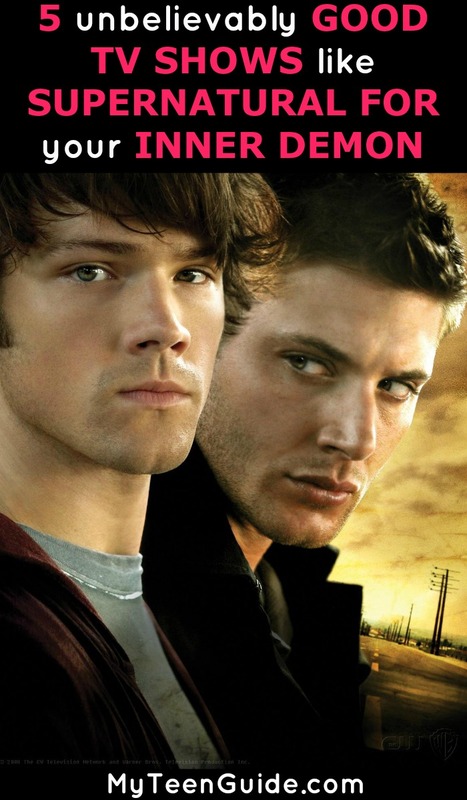 Ok, so monster and demon hunters, which of these TV shows like Supernatural have you watched? Which ones are you now dying to see? I have to know in the comments!